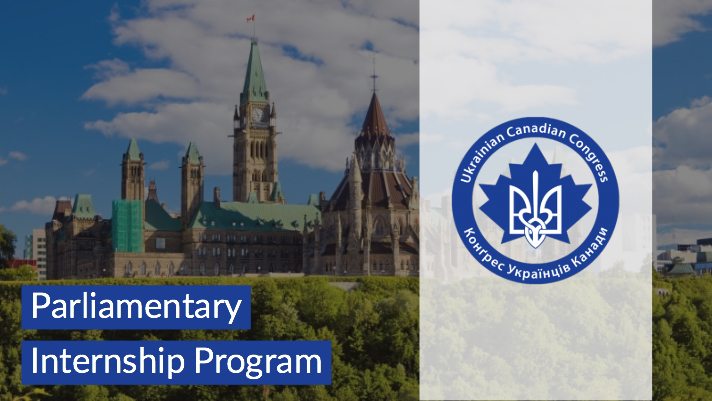 The UCC Parliamentary Internship Program was re-established in 2017, thanks to the generous support of the Ukrainian National Federation of Canada, including intern training by the Paul Yuzyk Institute for Youth Leadership, and many individual donors. For 2018, UCC is pleased to have expanded to offer two internship positions, thanks to the major financial support of the Shevchenko Foundation Ukrainian Canadian Veterans Fund. Additional program support has been provided by Ukrainian Credit Union Ltd, Paul and Adrianna Grod, Oleh & Bozhena Iwanusiw as well as many other individual donors. For the full list of supporters of the UCC Parliamentary Internship Program, please see here. Larysa Lubka-Lewyckyj and Volodymyr Palagniuk have been selected as the UCC Parliamentary Interns for the 2018-19 parliamentary year, following an intensive review of applications from across Canada. We want to ensure that the Ukrainian Canadian community continues to play a significant role in shaping Canada’s political landscape and policies for decades to come. This is a paid internship program from September 2018 to June 2019. Interns will work in Ottawa with Members of Parliament for 10 months on policy research, communications, legislative affairs and constituency work. They will learn firsthand about Canada’s Parliament and all aspects of the legislative and governmental process. To be eligible for the program, you must be a recent post-secondary graduate or a final-year student graduating this spring or summer from post-secondary institution. Applicants must be eligible to work in Canada. Compensation is $20,000 for the 10-month program. To read about the experience of our 2017 parliamentary intern, Halyna Paliychuk, please see here. Upon completion of the internship, UCC will work to place the interns in full-time rolls with MPs, in Ministerial Departments, or other public service roles within Government of Canada. In order to bring more interns to Parliament Hill, we need the support of individuals and organizations to provide financial resources for the UCC Parliamentary Internship Program. 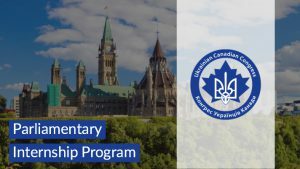 The UCC expresses its gratitude to all those who have generously donated to support the program this year, and foster a new generation of young Ukrainian Canadian leaders. Along with our major founding sponsor the Ukrainian National Federation of Canada, there have been many individual donors. A full list of the generous donors to the Parliamentary Internship Program is available by clicking here. The UCC Parliamentary Internship existed in the past twenty years in various formats. We are looking to connect with any former UCC Parliamentary interns from previous years to be able to establish a Parliamentary Internship Alumni Network. 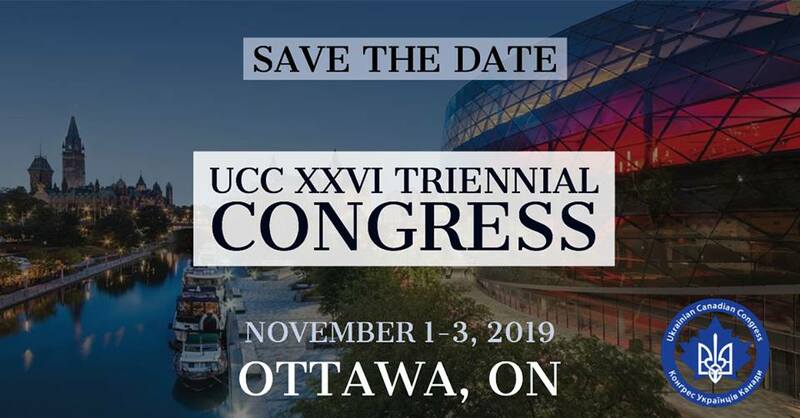 If you are a program alumni or know of someone who was, please contact us by nationaloffice@ucc.ca.